The revolutionary movement which began in 1787 disrupted every aspect of French society, rising to a pitch of such extreme violence that the effects are still felt in France today. 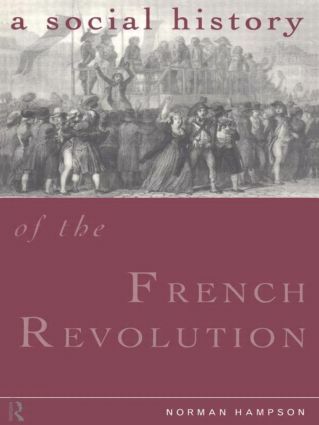 The Revolution was the product of social tensions that developed throughout France in the second half of the eighteenth century. Norman Hampson analyses the nature of these social conflicts within their political framework. With enough background information to satisfy the general reader with no previous knowledge of the subject, Norman Ha mpson's book devotes particular attention to provincial France. The result is both a picture of the supreme crisis in French society, and an examination of social attitudes and aspirations whose influence has been universal and enduring.